It starts with a critical baseline analysis. 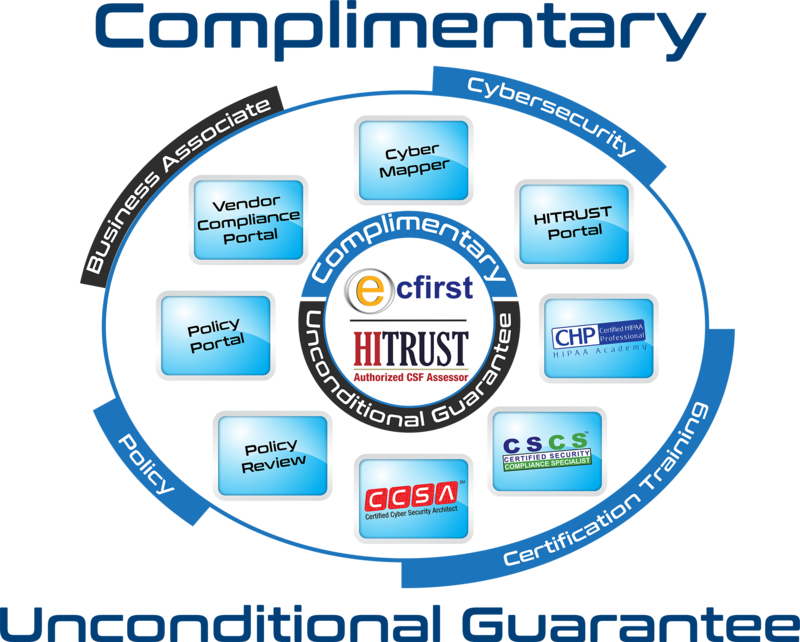 A comprehensive, expert Cyber Risk Assessment guided by ecfirst. Take advantage of ecfirst’s decades of expertise in regulatory compliance and risk management. Assessments are completely tailored to your organization’s requirements. A structure to visualize and track development and implementation. A review of the adequacy and preparedness of your current measures. Includes a Business Impact Analysis (BIA). To identify how/where information, particularly PHI and PII is stored and protected. Assess, test security architecture for robustness and standards adherence. Conduct internal and external network Penetration Testing and Vulnerability Assessment. A gauge of how well your staff understands security procedures and is prepared for incidents or events. Determine whether current education enables employees to respond correctly to Social Engineering. A proven methodology that addresses the details, conditions, requisites and mandates of each regulatory standard. A compliance portal designed to centralize, automate and manage the components of your individual assessment program. Tracer™ reduces your efforts in data collection, enables efficient management of your compliance program and remediation plans. Includes capabilities to manage policies and business associate agreements. A cybermapper tool organizes and visualizes the different security standards and regulations.